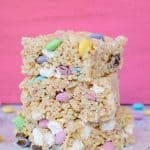 Rice Krispie Treats are an easy treat to make and share with everyone. Add Oreo cookies and sprinkles and see what happens next. 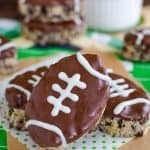 These Oreo Stuffed Rice Krispie Treats will have everyone grabbing for the last treat in the pan. This summer our oldest turned 16 and decided he wanted to get his permit. Let me tell you, 16 years of waiting does not prepare you for that moment when your baby gets behind the wheel. He has done really well with driving. I always wondered how I would be with our kids and driving. So far, so good. I haven’t freaked out…too much anyway. Last week we decided to drive a few hours away to IKEA. My hubby decided the 2 1/2 hour drive on the freeway would be a good experience for our son. Let’s just say it was a stressful ride for at least 3 of us in the car. The younger two were oblivious to the fact that their brother was driving with semi’s and crazy drivers. He did a good job, but we were so glad to finally get there alive. I wonder if my parents felt the same when I was learning to drive. I really don’t remember being a bad teen driver, but maybe I just blocked all those memories out. Haha! I will have to ask my parents what it was like. I’m curious now that I have a teen driver. Want to know what else I had to block from my memory? 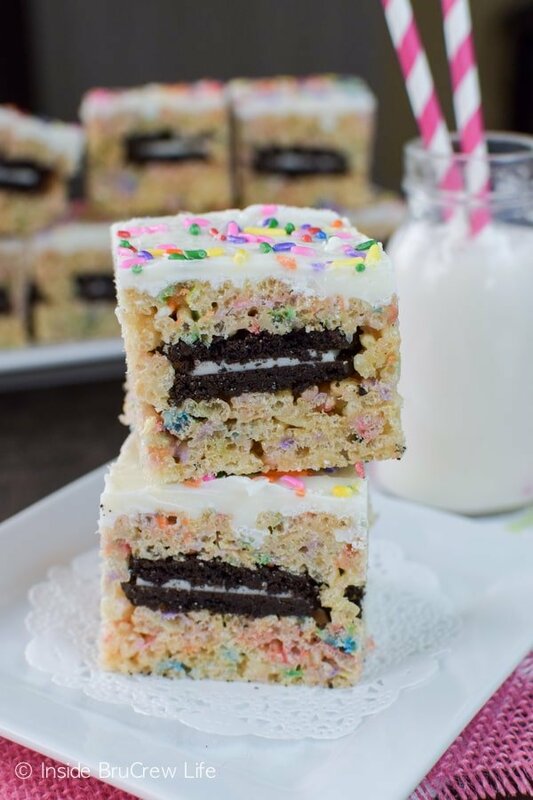 Rice krispie treats filled with Oreo cookies and sprinkles, that’s what. 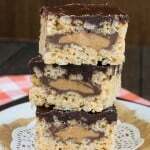 Last year I made these peanut butter cup rice krispie treats. Yup, RKT with full sized candies hiding inside. Those didn’t last very long in our house. Well, I started thinking about what else could be stuffed into the treats. 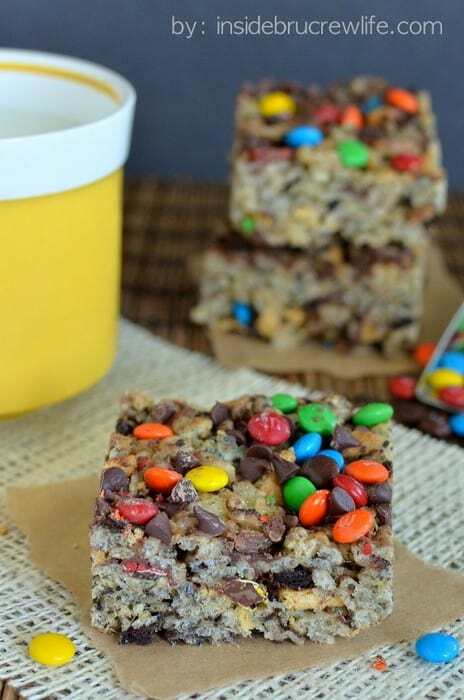 I mean plain krispies are seriously so good, but stuff some candy or cookies inside, and that treat gets taken up a notch. There was an extra package of Oreo cookies in our cupboard just waiting to be used. What else could I do? 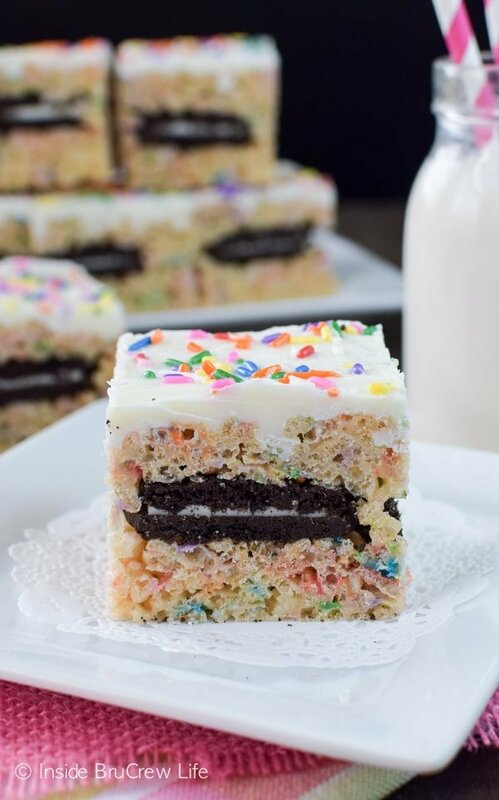 I had to put a layer of cookies in the middle of the cake flavored krispies. It was the right thing to do. I mean you would have done it too, right? These fun treats are great for celebrating all of life’s victories. Good test grades, sports wins, or a safe drive all count as reasons to make a pan of Oreo stuffed rice krispies. 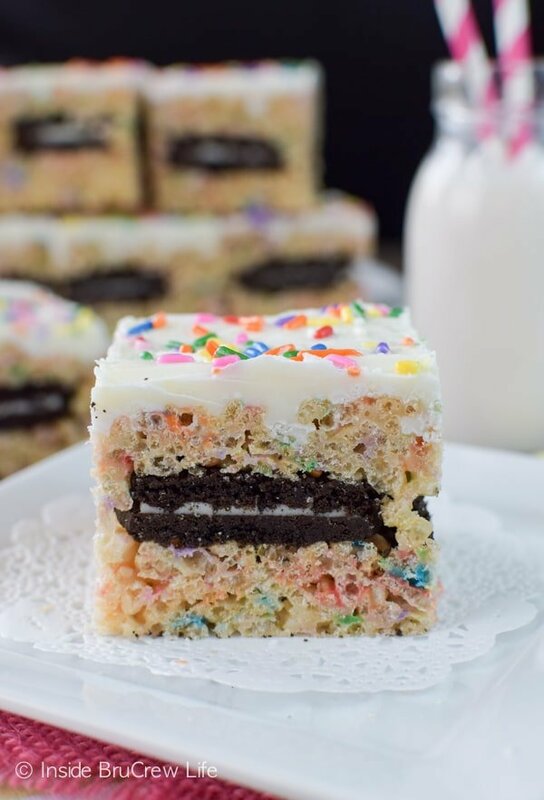 Sprinkles and Oreo cookies inside these rice krispie treats are a fun treat for lunch boxes or after school. Stir the marshmallows and butter over medium until heat until melted. Stir in the rice krispies, cake mix, and 1/3 cup sprinkles until thoroughly coated. Press 1/2 the mixture into the bottom of a greased 9x13 pan. Top with the Oreo cookies. Press the rest of the cereal mixture over the cookies. Use a piece of parchment to press everything down. Try to not press to much because this makes the treats harder. Melt the melting chocolate according to the package directions. Spread evenly over the top of the treats. Top with extra sprinkles. Let set. Cut into 24 squares. Store in a sealed container. 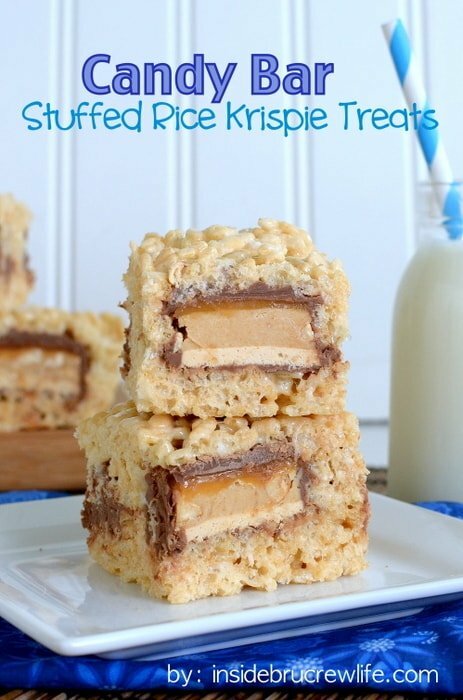 Mmm now these look like the ultimate rice krispie, Jocelyn! Hopefully they made you feel a little better about your driving experience to IKEA! Love the oreos stuffed inside! They definitely helped ease the stress a little bit. He did good, but it’s a little nerve wracking to sit in the passenger seat. Oh man, I remember when I was learning to drive. My mom was white-knuckling the handle on the side of the door the whole way! And I’ll be white-knuckling these because I’m holding on this kinda goodness TIGHT! ALL MINE! Pinned! Hahaha! My parents probably were too! I’m with you on not letting go of the krispie goodness! Oh, my goodness! That is hilarious! I’m sure if my youngest heard that, he would totally do it to mess with his brother! 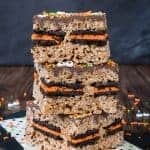 Rice krispie treats have never looked so decadent! It wasn’t my decision to let him do his first drive on the expressway with all of us in the car. Believe me the thought crossed my mind on what could happen if he made a little mistake. I had a feeling you would be in love with these krispies!!! Wow, these look so decadent! My kids would FLIP over these! Thanks, girlie!! My kiddos were pretty psyched about these too! 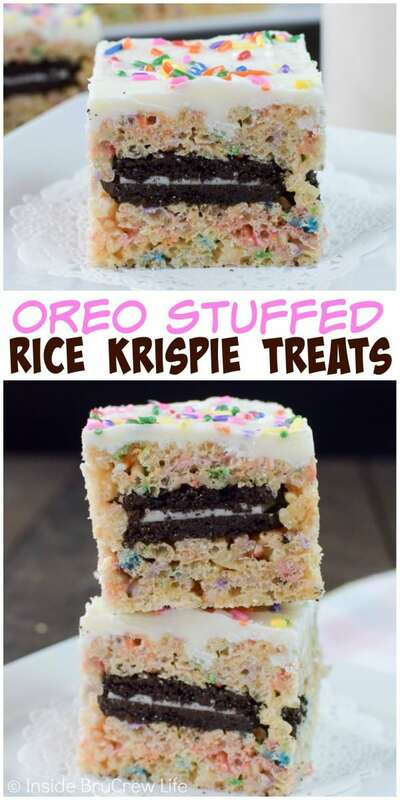 These rice krispie treats stuffed with Oreos look delish!! Oh man! Once I turned 16, I wanted to drive everywhere! I do remember when my older sister was trying to drive back from Myrtle Beach, my bother and I were so distracting in the car that she pulled over and wouldn’t drive LOL. Probably for the better!! That’s awesome that she knew enough to pull over. We make sure our younger two don’t do that very same thing with distracting him. It’s hard enough being a new driver without your siblings being annoying, right? You’re too creative! Love all of them but the pumpkin rice krispies are my favorite. Possibly because of the season — who doesn’t like fall, right? Those Oreos sure do make everything a ton better! 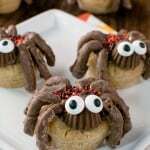 What an awesome idea, my boys would devour these in no time! Trust me, they do not last long! I know your boys would love them! 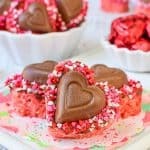 What fun krispie treats! These wouldn’t last long at our house! I am with you on this one. 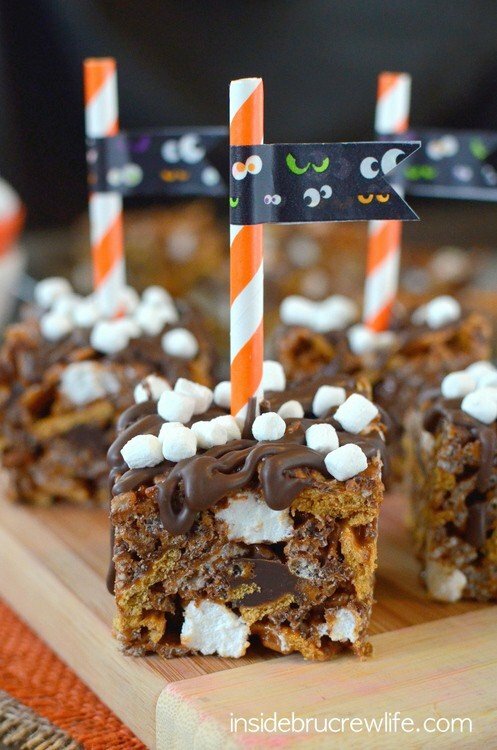 How can you make a rice krispie treat even better? 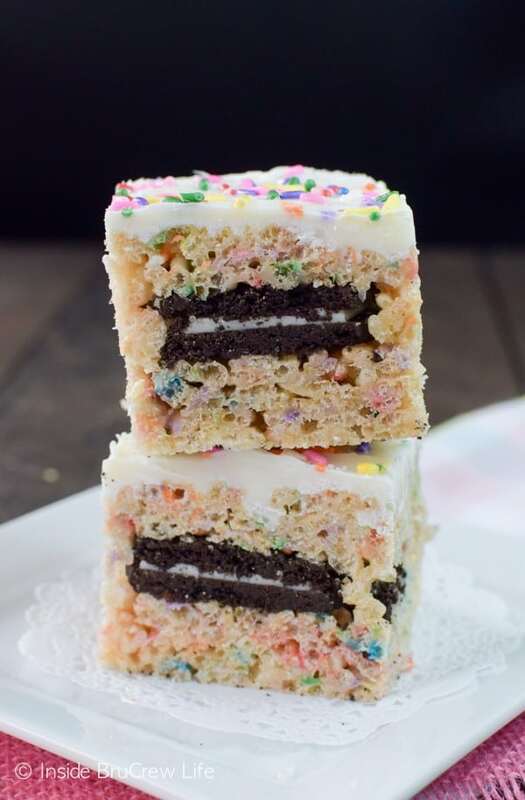 Stuffing it with Oreos – duh! Its GENIUS! Haha! My mind is always trying to find new and better things to do to treats! It never shuts off! LOL! These are definitely full of the good things in life. So cheerful and happy with the Oreo middle! We are counting down the days until he gets his license…but then I will be scared to death because I won’t be there to make sure he does everything right. It’s so hard being a parent when they get older! Jocelyn, the only thing I can remember is the time you went through a stop sign on a back road. I think my heart did a few flipflops. Other than that I think you were a pretty good driver. ?